Mom and I took a trip to Costco yesterday, and nearly bought half the store between us. I was going to have her drive, but then decided I’d better take the Tahoe since I was stocking up on a few things so that I would be ready for these last 8 weeks and a little beyond. Good thing, as we had the back packed, and some stuff under the kids’ feet. We would have not been able to pack half of that stuff in the trunk of Mom’s Accord. Oh sweet words! These chips are certified through the Gluten-Free Certification Organization, run by the Gluten Intolerance Group of North America. Can you tell I was excited? So I bought myself a bag. The picture of the chip is about the actual size, give or take a little (unless you have a very large or very small screen, lol). A serving size is 10 chips, and is (for my purposes) 15 grams of carbs (18 – 3 for fiber). 15 grams is what I’m supposed to have for snacks, so I was extra excited to have these available for snack time. These are excellent chips. A little salty, and yet, a little sweet sometimes. They say on the bag that they believe that the flavor should be in the chips and not on them. Well, I think they did a pretty good job with that. A chocolate tortilla chip? Count me in. Next time I hit Whole Foods, HEB, or Sprouts, I’m going in search of these! I just wanted to let you know I added a link to your January recipe for cheesecake brownies. They looked absolutely delicious! 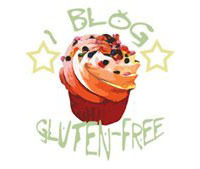 You can check out the link at my blog Triumph Gluten-Free! Let me know what you think of the entry and/or the blog. We always appreciate feedback! I really like this company’s products. I reviewed the chocolate version of the chips a while ago — love them! I also like the others you have pictured. The only one that was just “OK” for me so far was their new “Buffalo” (like wings I guess) version, which just didn’t have enough zing or something (though, I liked hummus on them anyhow). The chocolate tortilla chips are an experience! More bitter-salty then sweet chocolate, but addictive non-the less. I might have to drive an hour to the closest Costco and join , just for these crackers! Is there any other store that carries your crackers besides Costco? I am not a member there. Please advise. Thanks!